Overview: The CompTIA Cybersecurity Analyst + Practice Lab will provide you with the necessary platform to gain hands on skills in information security. 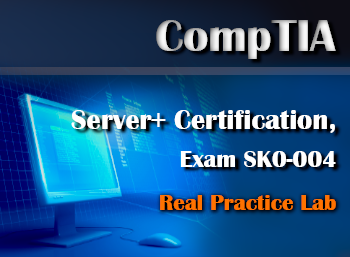 By completing the lab tasks you will improve your practical skills in configuring and using threat detection tools, data analysis, identifying vulnerabilities, identifying threats, and risks, and securing and protecting applications and systems within an organization. These same tasks will help you understand the objectives and competencies required by the CompTIA CSA + (CS0-001) certification exam. The CompTIA CSA + (CS0-001) is an intermediate certificate aimed at IT security analysts, vulnerability analysts, threat intelligence analysts, or IT professionals seeking to advance into the industry. This Practice Lab focuses on the practical aspects of the CSA + (CS0-001) exam objectives. It is therefore advised to refer to your own course materials to gain a deeper understanding of any theoretical aspects of the exam objectives. 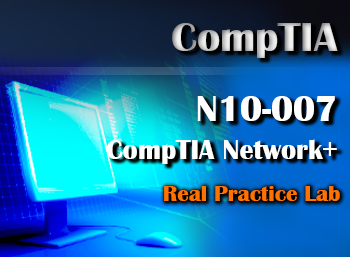 It is also recommended that you have gained the following certification before attempting the CompTIA CSA + (CS0-001) exam: Security + (SY0-401) No prior hands-on experience is required to use or complete this Practice Lab, however we have assumed that you know how to use a computer and that you are familiar with basic networking technologies and information security concepts.